Angela announced that The report on the hospital lands will be coming out on September 26th. The minutes for the June meeting will be approved at the next meeting as they are not ready. Ward 13 decides – $15,000 for anywhere in Ward 13. Idea lab at the end of this month on the 28th. London Community Foundation – Canada 150 Grant, we will be applying for a grant for a street party – where we close a street and have a street fair and a dinner in the middle of the street. Potential for a small community fireworks display. Sparks grants will be coming up again early next year. We need to decide as a group, and will no longer permit other groups to put forward applications on our behalf. Jamie gave an update on the Libro grant. They were not able to accommodate us for the prosperity fund for the 2017 SoHo Market. Angela spoke to Jim Yanchula from the city. Angela wants us to align a membership blitz once the announcement is made. Jamie connected Jeremy Horrell with Shelley Carr. Jeremy is looking at doing a mobile market which could be located in our neighbourhood. Nancy Powers mentioned the possibility of using the Salvation Army’s crisis response vehicle. Nancy also suggested the possibility of using Carquest’s parking lot. Angela suggested the idea of forming a social committee to be responsible for managing social events. This could be a formal committee which would take minutes and report back to the association as a whole. Angela wants to hold off on discussing this until we have more people. This weekend is the tree blitz at St. John French Immersion school. Saturday the 17th 12pm-3pm. The Block Party (electronic music festival) is also happening this weekend, downtown. Brenda from Maple View Terrace introduced herself and told us a bit about her organization. 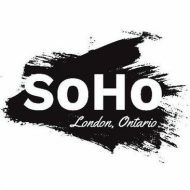 She expressed that she hoped her organization and SoHo would be able to work together more in the future, and invited the community to come out to any of their events.